//Sub/Corpus Blog: Who is Anthony Zimmer ??? Several weeks back, I watched a movie called Anthony Zimmer . It is a French thriller starring Yvan Attal and the beautiful Sophie Marceau. Let me tell you a little bit about the movie. Anthony Zimmer is a french money launderer and career criminal. He is being hunted by police as well as the Russian mafia, but after plastic surgery, no one can recognize him, making him impossible to find. The only valid connection anybody has to Anthony Zimmer is his ex-mistress Chiara. Chiara is persuaded to help in on the hunt, but no one is ever sure which side she is on and when she would switch sides. On the way to Cannes by train, Chiara picks up Francois, a nerdy and recently divorced man, to mislead the people following her. She seduces Francois and invites him to drop his boring and uneventful life to join her. Now the police and the people following Chiara believes they have found the man they were looking for. Francois desperately tried to evade the people trying to kill him while trying to get know Chiara better, who never seems to tell the truth. It was a brilliant movie, highly enjoyable with commendable performances and realistic action scenes. But you may wonder why I am talking about a French movie I watched several weeks back. Well, it seems Hollywood is doing what it does best again. They are making their own version. The Tourist . 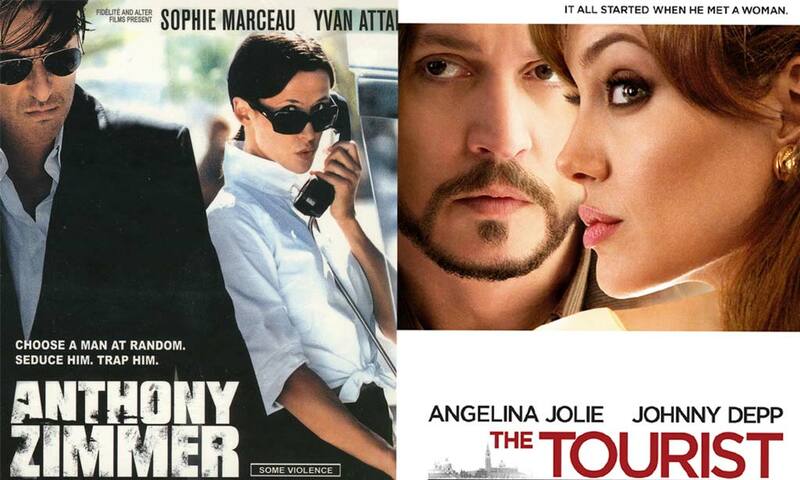 The Tourist stars Johnny Depp and Angelina Jolie and if reports are true, it is an exact copy of Anthony Zimmer. I say if the Tourist is anything like Anthony Zimmer, it will be a worthwhile watch, but I am skeptical. Hollywood has a bad track record of messing up good movies and books. You can watch the trailer for French movie Anthony Zimmer here and watch the first trailer for The Tourist here. If johnny depp is starring , it will definitely be good. Bro! I need this Movie from u! and also SOme other good Movies! Bro, wanna watch that.can you pass it to me today?